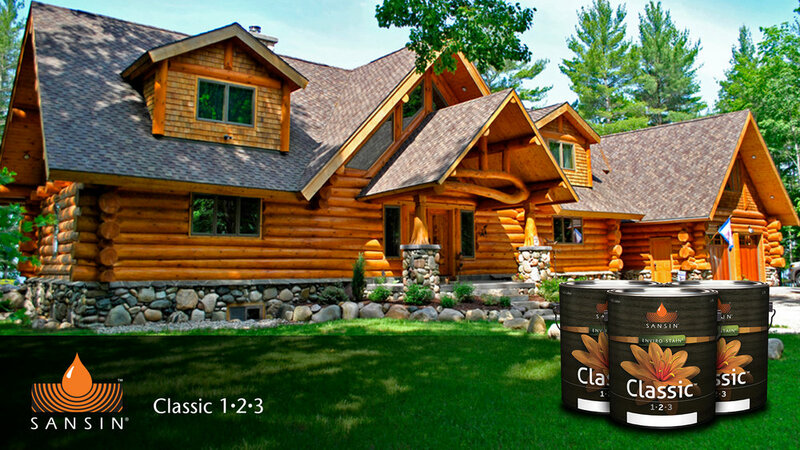 Eastside Paint & Wallpaper, the exclusive distributor of Sansin stain in Saskatchewan, has been providing stain advice for 26 years. 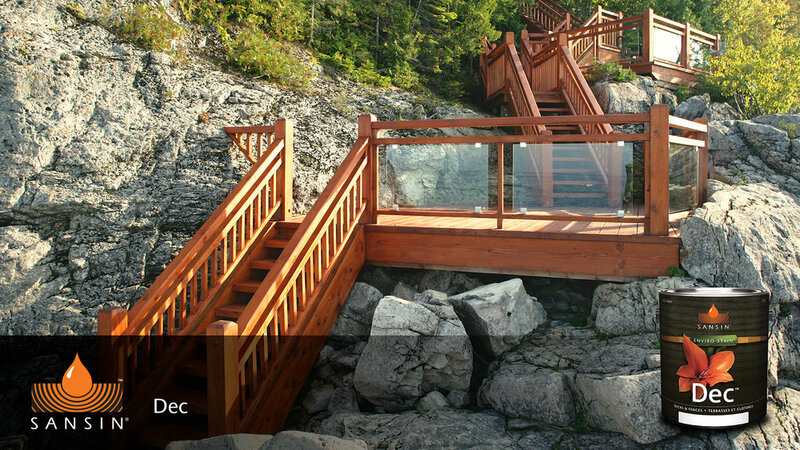 We'll help you select the best Sansin stain product for your deck, fence, siding or log home, suggest the best tools and walk you through the prep and application steps to ensure a successful project. Whether you choose from our family of penetrating transparent finishes or from our collection of solid hide colours, Sansin Enviro Stains deliver exceptional beauty that lasts. Our transparent finishes – available in a range of tones from Naturals all the way to our powerful Ultra-Saturated line – are renowned for their ability to enhance the character of wood with remarkable clarity, depth and crisp, clean color. And our solid hide colours are equally renowned for their purity of colour and their exceptional UV and fade-resistant qualities. We’ve harnessed the power of nano technology to create colour like you’ve never seen before. An innovative process atomizes the highest quality pigments into tiny particles so incredibly fine – less than a billionth of a meter – that they combine with the protective oils and resins in Sansin Enviro Stains on a molecular level. 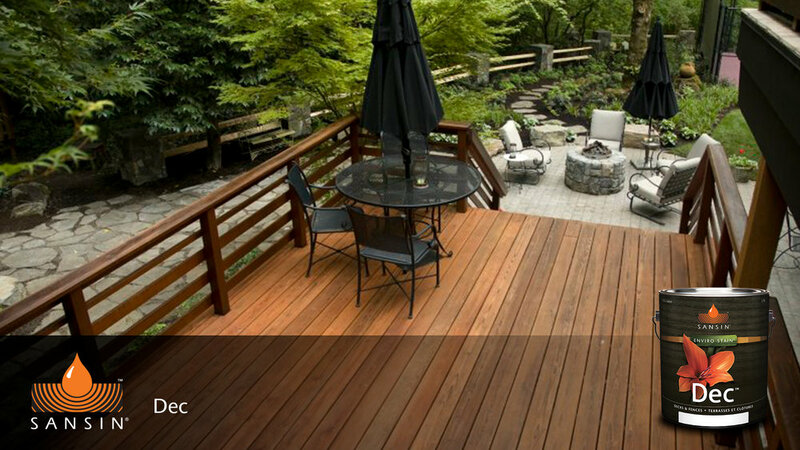 Once applied to your home or deck, Sansin’s penetrating stains carry the pigmentation down into the wood for uniform colour that is so vibrant and long-lasting it has to be seen to be truly appreciated.